Alexandria, Va., Sept. 17, 2018 ? Take part in educational sessions that focus on the topics that mean the most to you at the National Affordable Housing Management Association’s (NAHMA) Biannual Top Issues in Affordable Housing fall conference. The three-day event includes educational panels, committee meetings, Vanguard Awards luncheon, and the NAHMA Educational Foundation gala and poster auction. The gala requires a separate ticket and is not included as part of the meeting registration. Register for the NAHMA conference before Sept. 28 and save $50. With a focus on the top issues facing affordable housing, the meeting, Oct. 21-23, takes place at the Fairmont Washington, 2401 M St. NW, Washington, DC. The NAHMA room block single/double rate is $325. The discounted rooms are booked on a first-come, first-served basis and expire on or before Sept.
28 depending on availability. Reserve your room online today, https://book.passkey.com/event/14432306/owner/56417/home. Meeting registration includes admission to the Vanguard Awards luncheon, keynote address, panel discussions and committee meetings. To see the full conference preliminary agenda, visit the Meetings page on the NAHMA website. 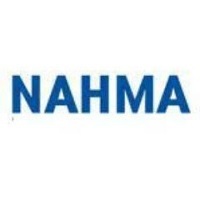 The NAHMA October meeting is made possible by Platinum sponsors, HD Supply Multifamily Solutions, ResMan, USI Insurance Services and Yardi Systems. And don’t forget to bring your credit card. The annual NAHMA Educational Foundation gala (#NAHMAEFInspireGala) and poster auction benefiting the foundation’s scholarship program takes place Oct. 22 at the Mansion on O Street. This event requires a separate ticket from the meeting registration. For sponsorship and ticket information, visit https://www.nahma.org/wpcontent/uploads/2018/08/08062018-Gala-Sponsorship_Ticket-Form.pdf. The highlight of the evening will be the presentation of the 2018 Inspiration Award to Wayne Fox, president, Realty Management Associates Inc., and James McGrath, chairman, PRD Management Inc.
What issues are you most interested in learning about? Let us know using #nahma18 on Facebook, LinkedIn and Twitter. For more information regarding the meeting, contact Brenda Moser, director of meetings and membership, by calling 703-683-8630, ext. 114, or emailing .